Today, we have Wild Rose Press author Anne Ashby sharing the highlights of her childhood, an impressive career in the Navy, and the unexpected third act that followed. I’m not sure if I’m in a second or third act. Looking back over my life I could divide it into more acts but I figure many of those are of minor significance. Where to begin? My childhood seemed uneventful at the time, pretty boring by today’s standards or so my little grandchildren think. I mean, growing up in a tiny coastal town of less than 50 people, without television, computers, mobile phones, how did we survive? Although widowed when I was two, my mother provided my sister, brother and myself with a great life. We never had much money but she set us on our pathway to adulthood with many important guidelines. She gave us morals to live by, showed us hard work never hurt anyone and confirmed every day by her actions that excessive money and possessions aren’t necessary to enjoy life. She shared her great sense of humour, her love of books and her determination to explore all she could of our beautiful country. And so many more things I am grateful for. Looking back now, I regret my own children had to grow up in a world so different from my ‘deprived’ one. I was a very shy, quiet kid and was very content at home, especially as my brother and sister had both moved into Invercargill (our equivalent of the big city back then) for work by the time I was twelve. Looking back I cannot believe where I found the courage to take the huge step which lead me away from home and everything I knew. Probably my mother’s confidence in my ability to be and do whatever I decided I wanted to. At eighteen, my Act Two began. I joined the Royal New Zealand Navy. This involved my travelling to almost the other end of the country. For years I had dreamed of joining the police force but needed to be twenty. Three years (minimum engagement at that time) in the Armed Forces was one of the suggested options to gain necessary life experience prior to joining the police. Looking at the three services, Navy was the only option for me. I’m a Pisces, I grew up in and around the sea and feel it is part of who I am. (I still live within walking distance of the coast). My determination to leave the Navy and join the police soon waned. By the time my initial engagement time would have been up, I was serving a two year posting in Singapore, I was engaged to a sailor and I loved the Navy way of life. Unless a person has served in the Armed Services, I doubt they can understand the impact this service time has on your life. The Navy is particularly bonding. There is a new language to learn, new ways to tackle tasks, and a dependence on each other that builds a comradeship that is in place for life. I’m currently the National President of the Naval Women’s Association. We had a reunion last month. Seeing World War Two service women, who are now in their nineties mixing with other service women, many strangers, from all the decades since, clearly shows the bonding we all still feel toward each other. I spent 21 years in the Navy. 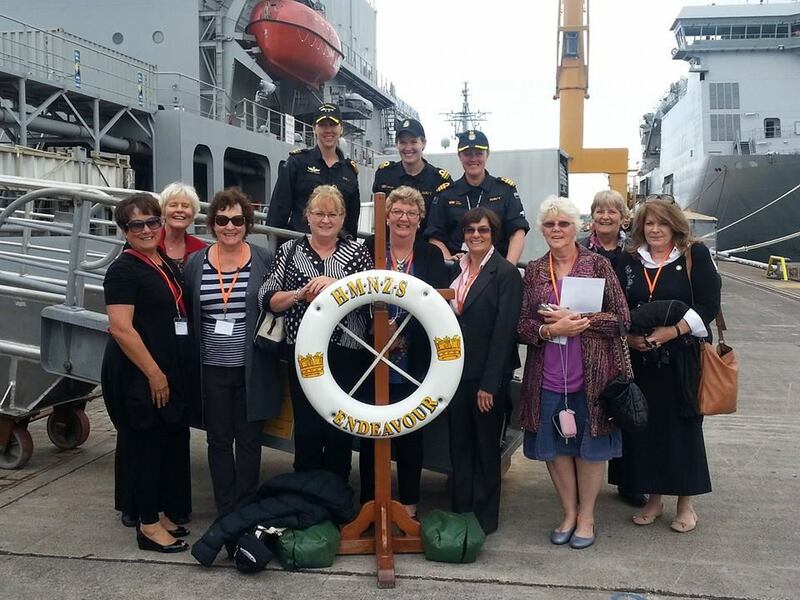 I served in every ship available to me – this was prior to women serving at sea as they do now – and retired as a Warrant Officer, the top of my trade. I had two children while serving, and only left because I wanted to experience the joys of motherhood completely. What I consider to be my Act Three began some years and two more children later. My eldest, then at university, regularly informed me I was allowing my brain to stagnate and knowing of my interest, kept suggesting I attend creative writing classes. I baulked at these, believing, rightly or wrongly, they were geared toward literary works not the writing of popular fiction. I knew where my interest lay, not only with popular fiction, but even more clearly defined, contemporary romance. My husband was attached to the New Zealand Embassy in Washington DC for two years and it was during this period I spied an evening course at the local college. “How to Write a Romance” sounded perfect and was exactly what I wanted to do. Then began the rigmarole of trying to get enrolled – living in the US without benefit of a social security number caused us so many hassles during our two years, and I feared this would be something else which would prove to be just too difficult. Thankfully this wasn’t one of those times and I began my writing journey with very small, faltering steps. 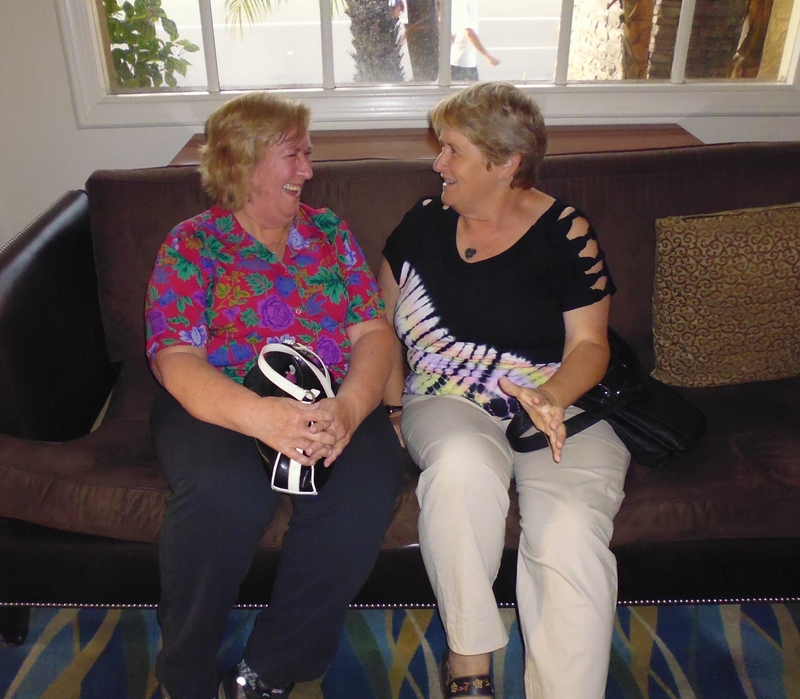 The instructor, Harlequin writer Loree Lough, was marvellous and became more than a mentor to me. We are still in touch, although not so often now as during my stumbling years toward publication. During the ten (I think) week course, Loree continued to share her expertise and offered to read work any of the students had completed. My idea of a New Zealand woman visiting Maryland quickly developed into a story which I wrote diligently throughout the period of the course, but the nerve to ask Loree to read it kept deserting me. Finally, on the last night I realised if I didn’t ask her then, I would likely never see her again, never have such an opportunity to have a professional give an opinion of my writing, and so yep, I hung around until everyone else had left and quaking in my boots, approached this multi-published writer to ask her to read my completed manuscript. I grasped at her willingness to read the 85,000 word story, agreeing she could do anything, suggest anything, say anything in response and I would be so grateful. About a week later I got a phone call and went around to her house so she could return my “baby” to me. My heart sank. The pages were splashed everywhere by red scrawled symbols and crossed out portions. She had not just read it and been willing to give an opinion, she had edited the whole story. So we sat in her dining room and Loree went through the whole book with me. She queried passages, pointed out the things I’d done wrong, made suggestions to tighten some scenes. She spent ages encouraging me, then assured me this story would find a publisher. Those words stayed with me all the years it took to get numerous proposals, partials and full manuscripts snail mailed around the world once I returned home to New Zealand. I figured Loree knew so much about writing romance, and if she thought “Worlds Apart” was good enough to be published, I was going to continue believing her. Worlds Apart did finally get published by The Wild Rose Press in 2009 and was dedicated to Loree Lough. Since then I’ve been writing “full time”. I’ve been fortunate to have a very supportive husband who accepted if he got home and found dinner not ready or the house less than tidy, then I had had a good writing day. My confidence and expertise continues to grow as I attend conference/workshops, along with the ready advice from an excellent editor who has become more of a friend. I keep writing because I cannot imagine not sharing the stories clamouring around inside my head. I’ve been fortunate to have had five books published by The Wild Rose Press and look forward to continuing my association with this amazing company. When I’m not writing or reading, or travelling the world with my recently retired husband, I enjoy spending time with my family, my friends from the Navalwomen’s Association or sorting through my years of genealogy notes. One day, if writing romance ever palls maybe I’ll collate all my family history notes into something readable for those who follow me. Being at a turning point in your life, be it by your own choice or by circumstances beyond your control, can be a scary and daunting . But fear of change shouldn’t hold you back. Other fears may seem to be insurmountable or even prove to be so, but don’t hold back changing your life because of your own lack of confidence or fear of the unknown. They said. We are afraid. After years of financial struggle Leath Robson and her brother are ecstatic when they’re willed a property in northern New Zealand. It gives them some much needed/highly sought after security. But who was this old lady who’d left them so much? Leath struggles with guilt when discovering their benefactor had spent her last years in a nursing home. Kirk Buchanan had left the family farm years ago to make his fortune. Summoned home he’s devastated to find his father suffering from Alzheimers. Hearing his dad likes to visit his childhood home, Kirk resolves to buy the place to ensure his safety. It’s not much but he has to do something. Unfortunately the property has new owners who keep refusing his generous offers. He must have his father’s birthplace. Obviously a more personal approach is called for. 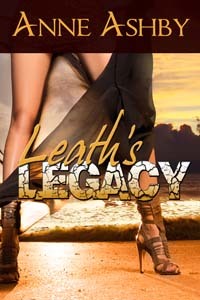 Comment for an opportunity to win a PDF copy of Leath’s Legacy. Anne, thank you for sharing so many wonderful moments from your jam-packed life. Best of luck with Leath’s Legacy. If you have a few minutes here and there (highly unlikely, I know! ), start that family history. It would be an amazing read! This entry was posted in Guest Blogging, Inspiration, Second Acts and tagged Anne Ashby, Joanne Guidoccio, Leath's Legacy. Bookmark the permalink. Oh forgot to mention that I love the cover of your book!!! Wow!! What a great series of Acts Anne, I read it while my heart was warming up with the love that can be felt in between the lines. Thanks for sharing! You have had an amazing journey to get were you are today. I, too, have found a home with The Wild Rose Press. Every good wish for your new book! Hi Ilona, its great that you could stop by, thank you. TWRP are a great crowd, arent they? I love working with them, they make you feel like you’re so special and important. I enjoyed your interview and learning more about a fellow author. I have the feeling your family history project will be on hold for awhile. You seem a person who has many stories waiting patiently for their telling. Best wishes with this newest release! What a terrific idea for an interview. So interesting, Anne! Thanks for sharing the act-to-date of your life. And how wonderful to have such a lovely mentor while you were in the U.S. Best of luck with your book. Interesting post and I love your ending quote. Good morning Catherine, thank you for stopping by. I have to admit I found the quote quite by chance but loved it too. To me it fits so well with how nervous a writer is when faced with that very first opportunity to have someone else read ones work. Anne, Leath’s Legacy sounds like a wonderful read. I’d love to know where in Northern NZ you set your book? 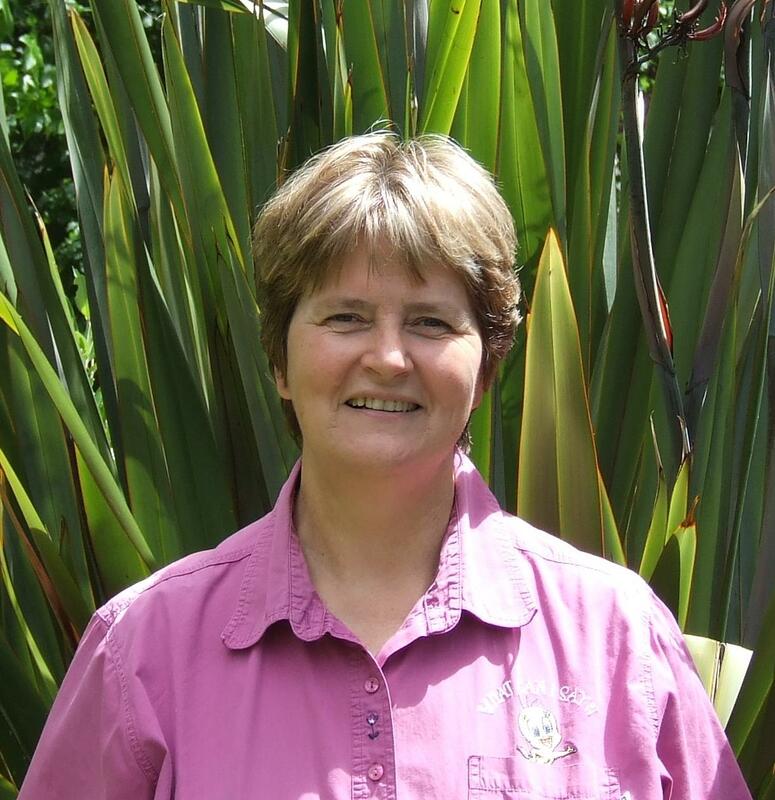 I grew up in the North Island and have wonderful memories of beautiful New Zealand.